Since 1947, the Voice of Democracy has been the Veterans of Foreign Wars’ (VFW’s) premier scholarship program. Each year, more than 50,000 high school students compete for more than $2.3 million in scholarships and incentives. 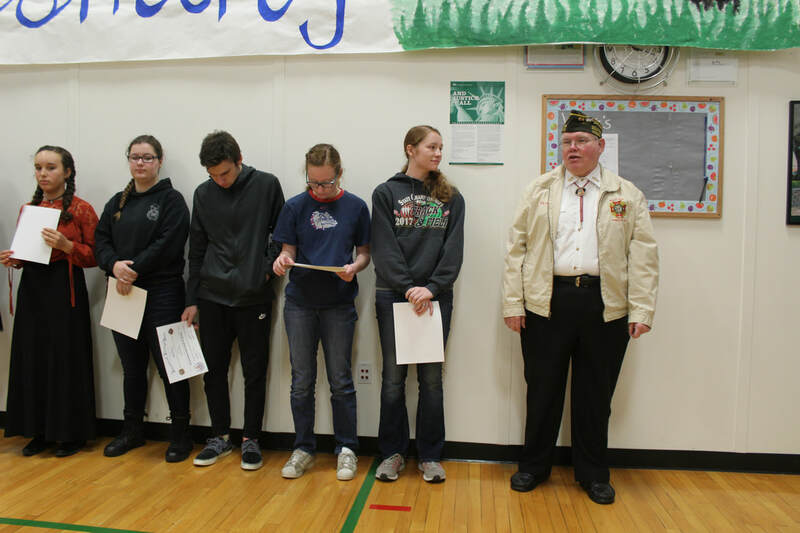 Students compete by writing and recording a broadcast script on an annual patriotic theme. 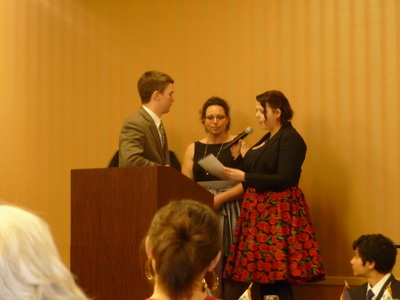 Prizes and scholarships are awarded at the local, district, state and national level. 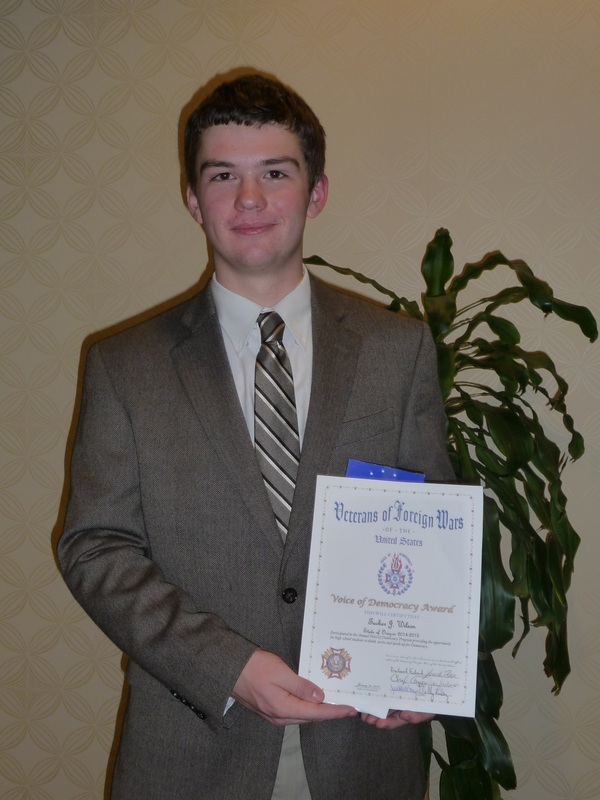 Allan Holden was awarded 1st in the Post and 1st in the District Voice of Democracy contest. Tucker Wilson was awarded 5th place in the state for his 2014-2015 Voice of Democracy entry. 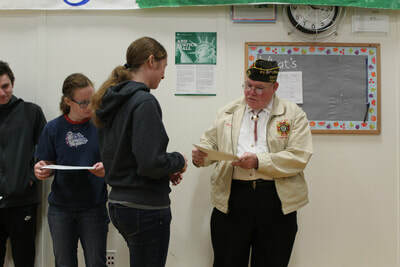 2011 - 2012 Theme: Is There Pride in Serving in Our Military?